In the past, marketing was a bit of a gamble, simply because the data and analytics available to pinpoint and track these efforts were general, vague and often non-existent. Obtaining information about current and potential customers to leverage was a scavenger hunt. Creative was based on reaching a specific audience instead of at the one-to-one level. The data-driven, technology-oriented world we live in today is very different. Data is more insightful, available and trackable than ever before, thus it has become an integral part of almost all marketing. It has changed how marketers approach messaging and campaigns—for the better. Data significantly enhances a marketer’s ability to engage prospects and customers on a personalized level. In a highly competitive global economy, data-driven marketing can really set you apart during the customer’s journey. “Customers today expect—and demand—a seamless and relevant experience. They have grown accustomed to marketers’ knowledge of their preferences and anticipation of their needs. Fractured or conflicting messages from a brand make marketers seem unorganized and annoy customers, sometimes even driving them away,” Adweek. You hear the term “Big Data” everywhere these days. It’s becoming a major component in business decisions in every major industry vertical. But what exactly does it mean? 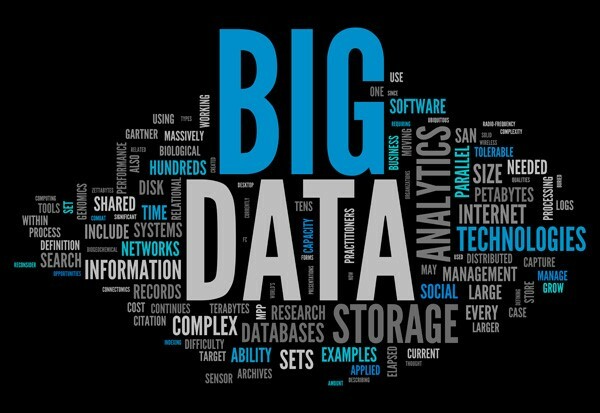 Big Data is defined as extremely large data sets that businesses typically collect from their own business processes and from their customers. This can include customer transaction, social media interactions, texts, emails, photos and a multitude of other connected sources. When used intelligently, this data is analyzed to reveal patterns, trends and associations, that can influence positive improvement in business strategies, including marketing. The need for better targeting and personalization has fueled the data revolution in marketing. Data-driven marketing is based on knowing in advance who will see your message and what you know about them in terms of characteristics, demographics, geographics and past interactions. Before data-driven marketing, creative was typically produced with one primary version. Now, a plethora of versions personally tailored to each individual in a database can be produced. Data-based decision making has also made a marketer’s job easier because it provides valuable insights that enable more relevant messaging to be disseminated to each consumer based on their needs and triggers. This also enables a more personal vs. intrusive approach to gain their attention. Data-driven marketing decisions are certainly a better alternative to intuition-based guesstimating because they reduce the risk for error. Data capabilities today are far better than in the past. Data has changed the way marketers communicate with current and prospective customers. The need for better targeting and personalization is driving the data revolution. Data-driven marketing is more cost-efficient, delivers a stronger ROI, gives you greater insight into the needs of your audience and helps you engage better with your prospects and customers.